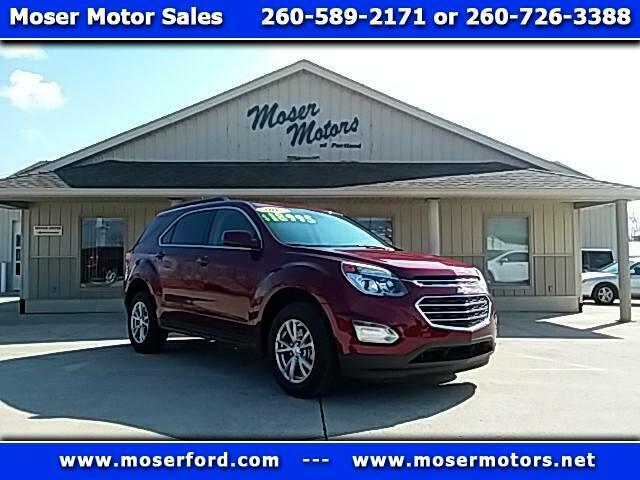 2017 Chevrolet Equinox LT with remaining Factory Warranty and LOW MILES. Only 10,610 miles!! Equipped with REMOTE START, OnStar, Satellite Radio, Power Driver's Seat, Heated Seats, CD-MP3 Player, and Remote Entry. Non-smoker interior. One Owner Off Lease. Clean History with No Reported Accidents. Give us a call at 260-726-3388.